We all know that the little things in life can often have the greatest impact. Our friends at the Noah’s Ark Foundation recognize that this is especially true for adults with disabilities. That’s why they started their foundation to provide meaningful, life-enriching opportunities that are not typically funded through traditional sources. 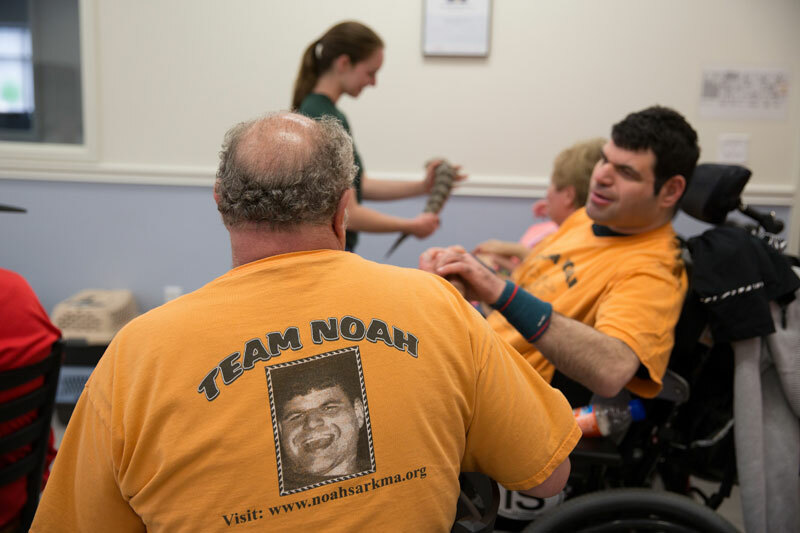 The Noah’s Ark Foundation is run by the Zack family, whose two adult children, Noah and Perry, have physical and developmental disabilities, and live in a residential program at Advocates. 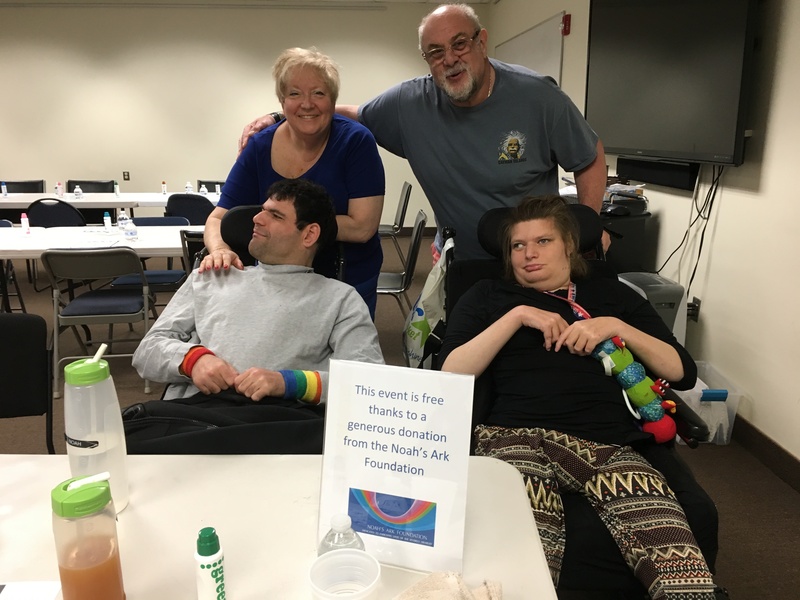 With grants from the Noah’s Ark Foundation, dozens of adults from Advocates programs and the greater community have enjoyed recreational activities that might otherwise be unavailable to them. Thanks to the generosity of Noah’s Ark, Advocates has been able to host various free Fun, Friends, and Family events, including a few Zumba classes and Bingo. 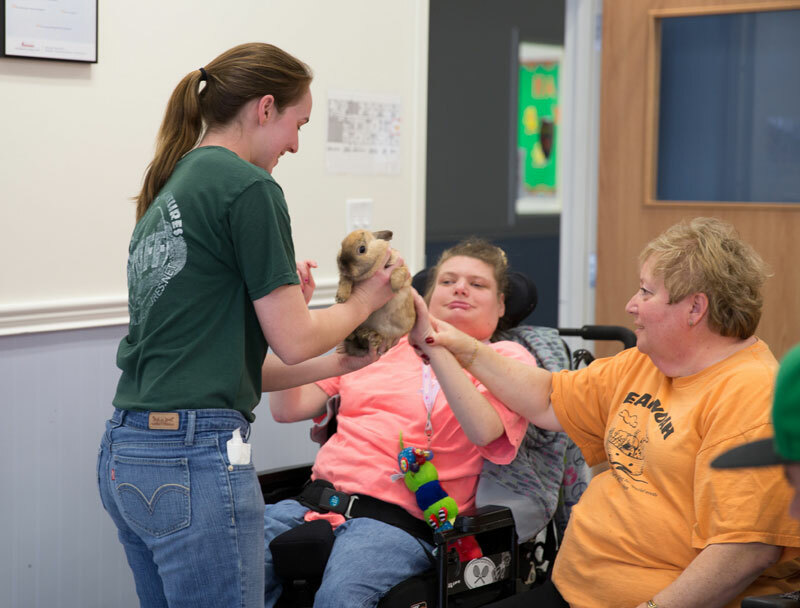 In 2016, we received a generous grant from Noah’s Ark that allowed us to invite Animal Adventures to Advocates Life Skills & Learning Center in Ashland. 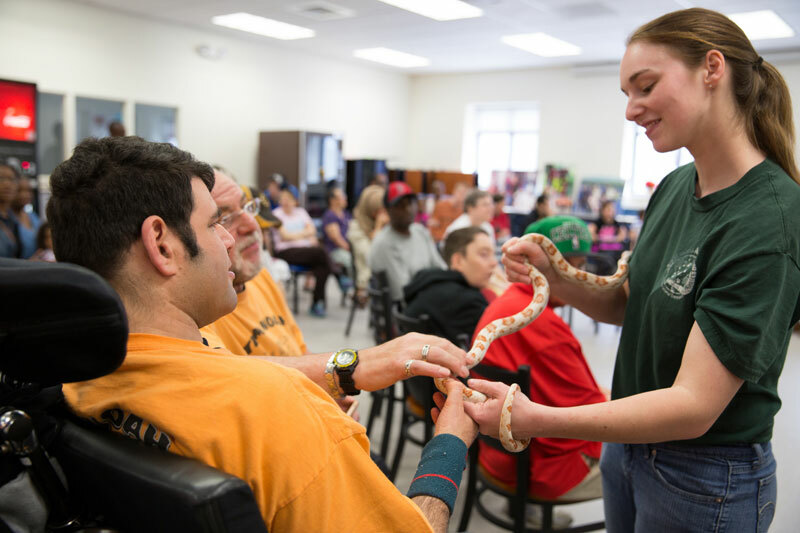 Audience members learned all about their menagerie of exotic critters, and had a chance to get up close and personal with each animal. It’s these kinds of small but meaningful opportunities that make for big smiles and lasting memories. Cheers to the Zack Family and the Noah’s Ark Foundation for the creatives they promote better lives!